Saxophonist in doom metal/experimental jazz band Free Nelson Mandoomjazz. Signed to RareNoiseRecords. Free Nelson Mandoomjazz are a three-piece band formed in Edinburgh playing an experimental blend of doom metal and free jazz. Influenced principally by artists such as Black Sabbath, Electric Wizard, Sun Ra, Sonny Rollins, Albert Ayler and Wayne Shorter, they term their music doom jazz. 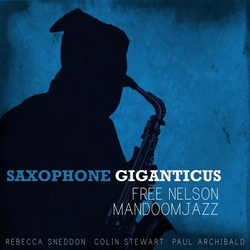 Free Nelson Mandoomjazz released new recordings of their original EPs in a double EP album, The Shape of Doomjazz to Come/Saxophone Giganticus. Their second album, Awakening of a Capital, was released in early 2015 to positive critical response. The trio will be recording their third release in January of 2016. News: Awakening of a Capital featured on The New York Jazz Record's BEST ALBUMS OF 2015 and Jazz Journal's BEST ALBUMS OF 2015! It's an engaging mix, with Archibald's drums solid and not rock-boring and Sneddon's very capable reed work; to differentiate form the Painkiller reference, she's probably a stronger player than Zorn ... Absorbing and exceedingly well-realized. Sneddon heads straight outside with a solo that is equal parts Peter Brötzmann and a young John Zorn ... Even when she is playing elongated single notes, her utterance is imbued with emotion ... Free Nelson Mandoomjazz come on strong here and become more compelling with every release. 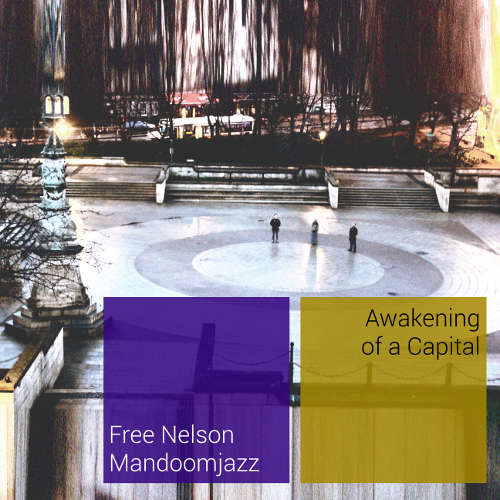 Free Nelson Mandoomjazz is readymade for musical adventurers who appreciate music which steps toward terra incognita. Find your black shapeless garment and put it on! Get ready for ceremonies and rituals! Get ready for the experiments and the unforgettable trip into the darkest pleasures of jazz and noise. If you like your genre-blending to be heavy and viciously elegiac, then Sneddon’s freewheeling skronk, Archibald’s slacker (but never slack) beats, and Stewart’s distorted buzz are not to be missed. Read Rebecca's interview with aJazzNoise here! "Awakening of a Capital" released February 2015.